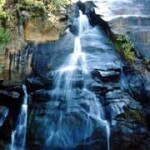 15 km from Bhawanipatna, a perennial waterfall of 16 mts. high, has a special charm of its own. The multicolored rainbows created by the sunrays falling on the scattered water particles of the falls are an amusing site to be seen. This entry was posted in Orissa, Phurli Jharan. Bookmark the permalink.